Imagine winning a national beauty pageant, only to be told your prize is - wait for it - R130 and the audience has had to do a quick whip-round to raise it? That's what happened to Chiedza Hukuimwe, the winner of Miss Deaf Zimbabwe 2017 at the weekend, according to local press reports. Worse still, when the contestants arrived at the final at Harare's glitzy Longchen Plaza on Saturday, there was no prize money at all, the state-owned Herald reports. Said the paper: "Organisers had no cash prizes before the pageant and they tried to raise some cash from well-wishers in the crowd and only got $26, proving that the pageant was suffering from financial constraints." The $26 had to be shared equally between Hukuimwe and the women placed second and third. They also got perfume prizes from a local distributor, said the report. "Who is to blame for this shocking $8.50 prize given to the Miss Deaf 2017?" tweeted radio station @capitalkfm. @Oldschoolvalue1: "They deserve better. 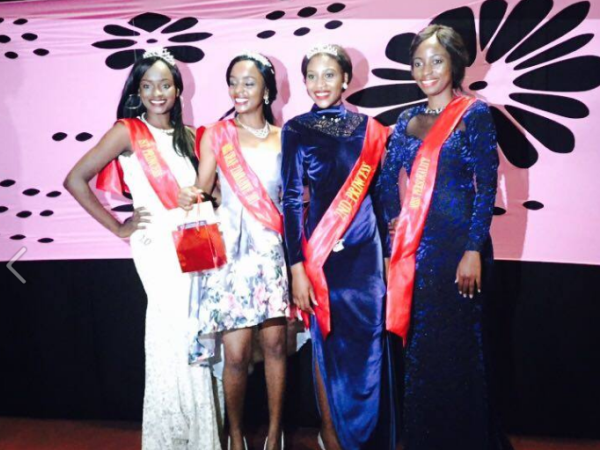 "Herald writer Tafadzwa Zimoyo said the prize was "a shock in the history of beauty pageants." Looking for someone I can't live without.